Many students come through the doors of The Studio each year. 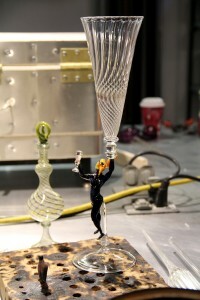 They come to train in new techniques, to further study their craft, and to learn from some of the most renowned glassmakers in the world. All of our students come from different places, different backgrounds, and have different levels of experience in working with glass. 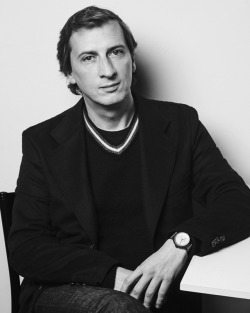 In January, I met Amro Amer, a student who traveled from Egypt to take a class with Emilio Santini. 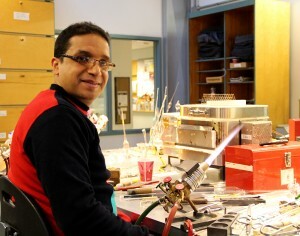 Amro had watched videos of Emilio demonstrating flameworking techniques online for over two years, but because Emilio is such a popular teacher, Amro had difficulty getting into a class. 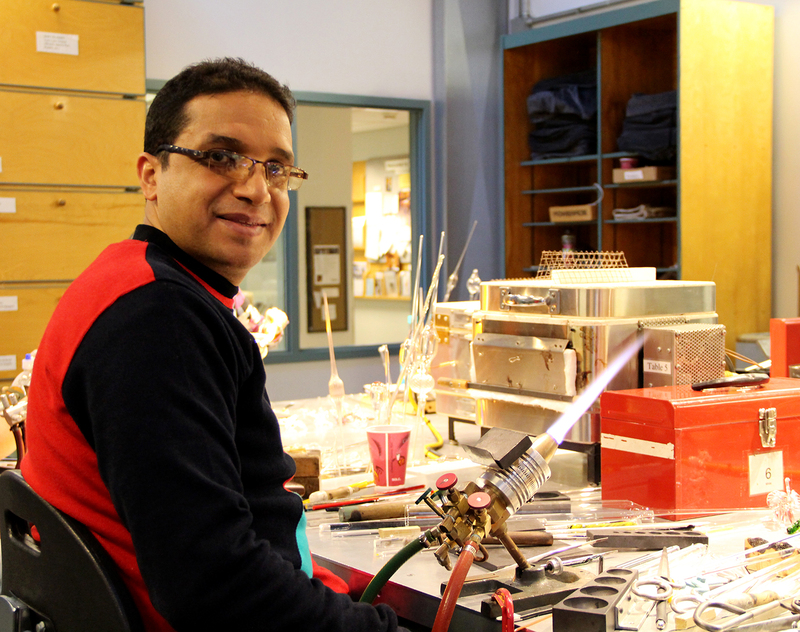 A last-minute cancellation this winter finally gave Amro the opportunity he needed to sign up for Emilio’s class Flameworking for Everybody. As it turns out, Amro and his teacher had several things In common. 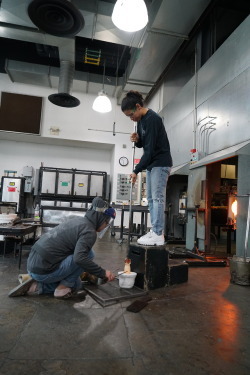 Both learned the technique of glassmaking outside of a class setting. 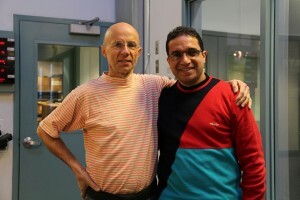 Amro says that, in Egypt, the craft of glassmaking is passed down from generation to generation and by others who’ve mastered the technique. 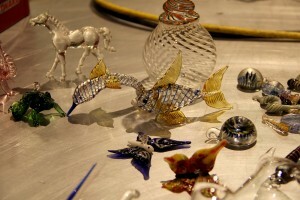 Similarly, Emilio was born into a family with over 600 years of glassmaking experience in Murano, Italy. An array of flameworked pieces that Amro made during class. Additionally, Amro wasn’t the only one learning during his time at the Studio. Emilio said that he was honored and humbled to be teaching Amro. Out of his 19 years teaching at the Studio, Emilio has never taught anyone from Egypt before. Emilio told me that one of the reasons he loves teaching is that it provides an opportunity to learn. 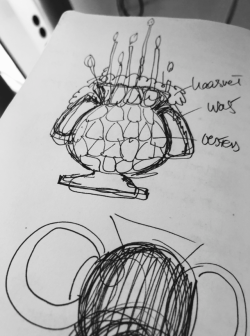 He’s fascinated by the ideas that his students have and by the new techniques they bring to a craft that has largely been done the same way for centuries. When I asked him what it was like to be in one of Emilio’s classes versus watching online, Amro said that being in the same room is very different than watching the video. He said that one of the things that he enjoys most about physically being in Emilio’s class is that he can see all of the little details that the camera doesn’t capture. It can be something as small as the way Emilio moves his hand when working a pieces of glass, Amro says that those small things can sometimes make the biggest difference. 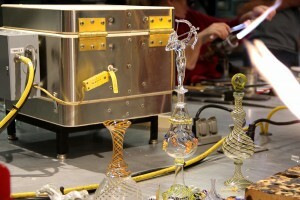 Emilio Santini will return to The Studio this summer to teach Flameworking for Everybody from June 22–July 3. Summer classes at The Studio feature a range of techniques taught by renowned instructors like Loren Stump, Silvia Levenson, Gianni Toso, Kristina Logan, and William Gudenrath. To learn more about the instructors and classes that will be offered during the summer session, visit the Classes page.